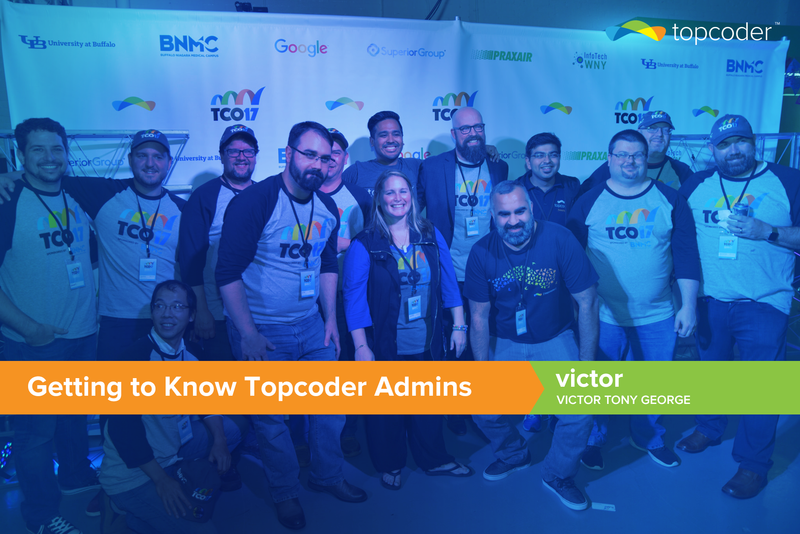 Hello, my name is Vic (short for Victor), and I am the lead product designer for the Product Development team at Topcoder. I’m originally from Bulgaria, Eastern Europe. Tell me a little bit about your background and how did your Topcoder story begin. Well, I do have quite the story for how I got into design. I was supposed to be a medical doctor, you see, and before that I was in music school. I guess neither was interesting enough for me so I switched to be a designer right after I got my medical degree (to the dismay of all my peers). I started in a small garage doing graphic and print design, and quickly moved through audio/video/websites/software design. I guess I found my passion to be building tools, and 7 years after that I was in the US, where I got my masters of fine arts in web design & new media from my Alma Mater – Academy of Art University, San Francisco. After I graduated I joined a small startup that was building a next generation social network platform. The product was focused on building meaningful conversation and organizing people around the things that. I am very passionate about online communities, as I learned and grew as a designer in one of them. That is why when I randomly found out about Topcoder and the opportunity to join the product development team I saw a great fit. That’s how my Topcoder journey began almost two and a half years ago. What product you designed for Topcoder, are you most proud of? (challenge listing page, challenge details, Connect, etc)? I have my hands on all products that are being developed since I joined Topcoder. This includes the community app, our custom admin tools, and Connect. I do not work on the websites, as my role is strictly product design: I build online tools and apps for Topcoder. The product I’m most proud of? That’ll have to be Connect, I guess. It has the hard job of communicating what we do in the community to our customers, so it is the app that all our customers use to offer work for the community. From a business standpoint this is crucial, as more customers means more challenges for the community, and growth and sustainability. How was your experience in working with the community’s designers and/or running challenges? Running design as a challenge is quite different than being on a design, or managing a design team. There is a learning curve, but it is also very interesting to see how many ideas get generated very quickly. Also you get to meet a lot of new interesting people from all over the world. What is the most difficult thing to do as a product designer? For me personally it is to find a balance between perfect design and a working system. You have to constantly balance pixel-perfection and amazing design vs. what gets implemented and what can get out of the door quickly. In any organization, the resistance to change is pretty big. How did you make sure you designed the best user experience for the members? As a designer your job is to work and represent the user. You have to know them intimately and have an empathy build for their problems. Only then you can come up with solutions for them. I tried doing what the members do, and follow through their experience, so I can see what is not working. It is eye-opening to see your users use the system you’re building. What do you like the most about Topcoder? The people, and building something amazing. If you could change or improve anything in the platform, what would that be? I would put some focus on the community tools. 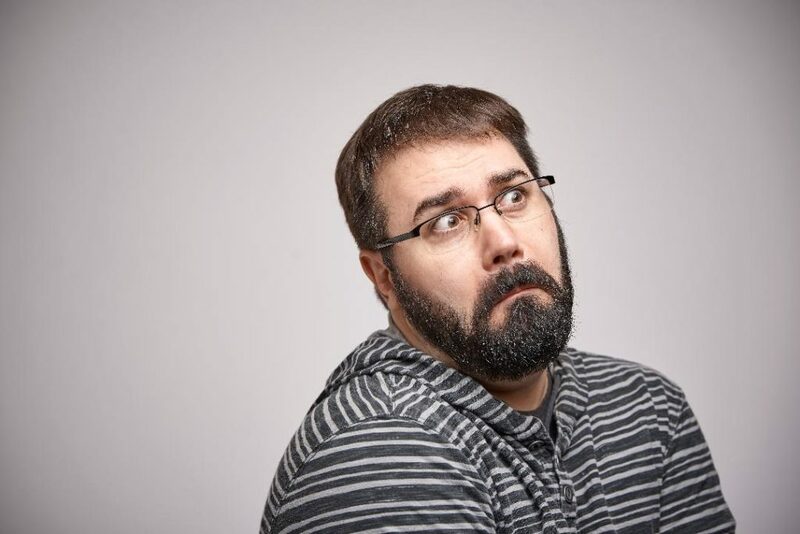 I think it is important to build new connections between people – right now the social aspect of the community is not instrumented on Topcoder – you can’t have friends, follow people, or communicate on the platform itself. If I had the unlimited power in my hands I would rebuild the community system to be sleek and modern fast system that has a lot of artificial intelligence behind the scenes. And instantly materialize all the designs I have in my head for Connect. How do you push yourself to become better product designer and manager? Accept your responsibility, and errors. Fail quickly and learn, and grow. Beating your own ego is the best thing one can do for their own development. How do you see the Topcoder platform transforming over the next few years? That’s a tricky one. The dynamics of the marketplace certainly have a lot to do with the development of our business, and Topcoder is for profit business. Our goal is to generate revenue and this is what keeps the platform alive. There are a lot of new things happening in the different areas – competitive programming, crowdsourcing, design, remote work, freelance and contracting platforms. There are 2 major themes for our team – build and expand the community, and the customer apps. Definitely some of the social aspects of the community are things we’ve discussed internally, and we’re building modern functionality to gradually improve the experience on the whole system – dynamic notifications, better communication tools, faster and better dashboards, improvements in the design language, gamification, AI, etc. The optimum position of Topcoder in the future would be a global technology crowdsourcing platform and social network. I imagine we can become market leaders and get a lot more work on the system, as this is the future we believe in. – Get feedback early, and act upon it. Do not wait to show your interface or solution to people at the last possible moment. Validate your idea and make sure it is working early. This will save you time in the long run, and you’ll be building more meaningful designs. – Kill your darlings: As a designer you should be able to throw away your design at any point. Even if you spent many hours polishing an interface, if it is not working for the customer, or is confusing, than scrap it and build a better experience from the feedback. – Have critical approach, and explore a lot in the beginning. Don’t start with a single idea and bring it to completion, rather create a ton of quick rough ideas to explore the problem from different angles. Develop partially the best ideas and merge the most amazing elements into a single piece. – Look from afar and squint your eyes. Can you tell what this is? The principle is to not get caught into the details too early, or for too long. – Be critical to your craft. Respect all the elements equally – composition, color, typography, content. – Have fun. If you are not enjoying what you’re doing, you’re wasting your time on earth. I love crafting things. Assembling scale models of airplanes can be very meditative. Or building a leather handbag for my wife – leatherworking is actually quite interesting, and has a lot of parallels with design. I do read a ton of sci-fi and fantasy books, and occasionally ride my motorcycle around. Ward has been an essential part of the Topcoder team for over 4 years as a software architect working on some pretty cool projects….